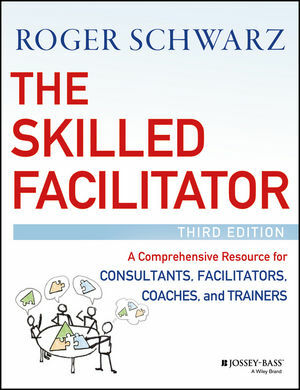 The Skilled Facilitator: A Comprehensive Resource for Consultants, Facilitators, Trainers, and Coaches, Third Edition is a fundamental resource for consultants, facilitators, coaches, trainers, and anyone who helps groups realize their creative and problem-solving potential. This new edition includes updated content based on the latest research and revised models of group effectiveness and mutual learning. Roger M. Schwarz shows how to use the Skilled Facilitator approach to: boost improvement processes such as Six Sigma and Lean, create a psychologically safe learning environment for training, and help coaches work with teams and individuals in real-time. This edition features a new chapter that explains how to facilitate virtual teams using conferencing technology. Facilitation skills are essential in many kinds of work, and if you are looking to bring your skills up to date it is critical that you rely on trusted information like the knowledge offered in this go-to reference. The Skilled Facilitator is a practical resource for corporate, government, non-profit, and educational practitioners, as well as graduate students in group-focused programs. This edition contains up-to-date material, based on recent studies, to help facilitators move beyond arbitrary tactics to utilize cutting edge, research-based strategies that improve group processes, relationships, mindsets, and outcomes. ROGER SCHWARZ is an organizational psychologist and president and CEO of Roger Schwarz & Associates, Inc., a consulting firm that helps teams create fundamental change to get better results. He facilitates leadership teams and teaches, consults, coaches, and speaks on facilitation, leadership, and developing effective teams. He is the author of Smart Leaders, Smarter Teams and The Skilled Facilitator Fieldbook, and blogs for Harvard Business Review. Contact him at www.schwarzassociates.com or find him on Twitter @LeadSmarter.